Adam Torres murder charge: Fairfax County police officer shot unarmed John Geer in 2013. 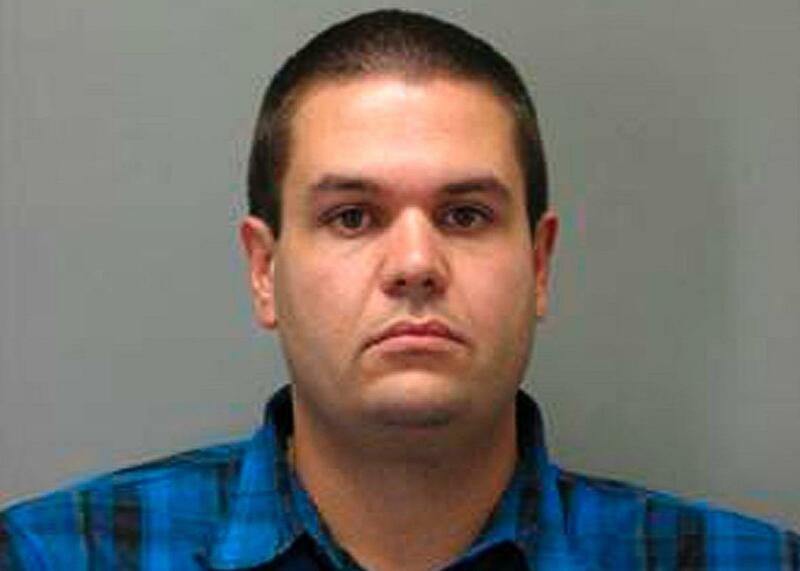 Former Fairfax County police officer Adam Torres is shown in this Fairfax County Police Department photo released on Aug. 17, 2015. A former police officer in Virginia has been charged with second-degree murder for shooting an unarmed man in 2013, the Washington Post reports. Adam Torres, who until July 31 worked for the Fairfax County Police Department, turned himself in on Monday. The murder indictment, approved by a special grand jury that convened this summer, begins a new chapter in a case that has already stretched for nearly two years after Torres fatally shot John Geer, 46, in August 2013 as Geer stood in the doorway of his home in Springfield, Virginia. Officers responding to a call from Geer’s live-in girlfriend during an argument said Geer refused to come all the way out of the house and initially “displayed” a gun in a holster, but he was convinced to put it down at his feet, according to accounts from officers and witnesses. Geer was reportedly standing with his hands resting on a storm door and conversing with officers, including one specially trained in negotiation, as Torres kept his gun trained on Geer from 17 feet away. Geer repeatedly asked Torres to lower his weapon. Officers said that Torres would comply but that Torres would raise it again when Geer periodically asked to scratch his nose. While Torres later claimed that he thought Geer was reaching for his waist and presented a threat when the shot was fired, his account was contradicted by others at the scene. But four officers on the scene and Geer’s father and a friend, who were also there, said Geer’s hands remained above his shoulders when he was shot. Torres, who had been on administrative duty since the shooting, was fired this July when Fairfax County Police Chief Edwin C. Rossler Jr. determined that Torres had violated the department’s “policies and procedures on the use of force” when he shot Geer, according to WTOP. The department’s handling of the case brought federal scrutiny after it withheld Internal Affairs files from county prosecutors and refused to release Torres’ name and other information about the shooting to the public until compelled by a court order in January 2015. In February, with the Department of Justice monitoring the investigation, U.S. Sen. Chuck Grassley sent a letter to Rossler to demand an explanation for the department’s lack of cooperation with the “unnecessarily” delayed probe. The county agreed in April to pay a $2.95 million settlement to Geer’s two teenaged daughters. The Washington Post report on Torres’ arrest highlights the rarity of such charges for American police officers who use their weapons in the line of duty, even when they fire on unarmed people, citing a study the paper conducted with Bowling Green University that found only 54 officers have been charged among thousands of officer-involved shootings. If convicted on the second-degree murder charge, Torres faces up to 40 years in prison.